It is one of the deadliest hazards on construction sites, contributing to a significant proportion of construction-related fatalities every year. 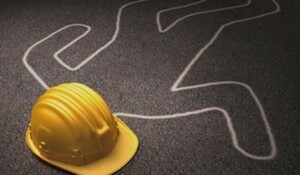 Falls are entirely preventable, yet in 2012, they accounted for 269 out of the 770 fatalities in the construction sector. Now, the Occupational Safety and Health Organization has announced a National Safety Stand-Down initiative to take place in June. A Safety Stand-Down is a safety event in which employers talk to employees about fall protection and safety in an attempt to reduce injuries and fatalities. This is an entirely voluntary initiative. The goal is to reach out to workers who may not be entirely aware of how to protect themselves and reduce the risk of falls in the workplace. The events can also help gauge the level of worker awareness of fall protection measures. During a Safety Stand-Down, participating construction companies will stop work for some time and provide focused talks on fall prevention topics, including scaffolding safety, fall protection equipment and ladder safety. The companies will provide information to workers about the dangers that they face in the course of their daily activities and the measures in place to reduce those risks. For instance, employees can be trained about fall protection equipment, the right way to use the equipment, and the dangers of going to work without wearing appropriate gear. OSHA encourages employees to conduct their Safety Stand-Downs during the week of June 2 to June 6. The federal agency hopes that more than 25,000 employers, with more than 500,000 workers, will participate this year. The federal agency wants trade organizations, construction companies, federal, state and local agencies, consumer groups, labor interest groups, contractors, and professional societies to participate in the initiative. During a typical Safety Stand-Down program, employers can focus on the injury and fatality numbers related to fall accidents on their other worksites. They also can explain the fall prevention measures that are in place on work sites. Employers can look at whether employee fall prevention training is outdated and make arrangements for reviews, if necessary. A Stand-Down also serves as the ideal opportunity to review the adequacy of worker protection gear provided to employees and consider updating it. OSHA encourages employers to make the program interesting for workers by serving snacks and making the presentation interactive and positive. Workers should be encouraged to participate in the events by contributing their input and insights.